What is a Sainsbury's Discovery Community? 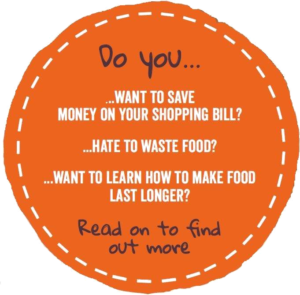 Sainsbury’s Discovery Communities aim to inspire people to reduce the amount of food waste created and save money by shopping with meals in mind. We are supporting seven Discovery Communities in Norfolk. Recycle for Norfolk will be measuring the impact over the next five months (November 2017 to March 2018). In 2016 Sainsbury’s worked closely with the town of Swadlincote in Derbyshire to test new ways to help households ‘Waste less, Save more’. From there, the concept of ‘Discovery Communities’ was born. As part of our drive to ‘Recycle for Norfolk’, the local authorities work together as the ‘Norfolk Waste Partnership’, to prevent or reduce leftover waste and increase reuse and recycling activities. The Discovery Community concept is a chance to make an impact on how much food is thrown away. As a nation of food lovers and waste haters, it’s surprising how much of our food ends up in the bin. Thats’s one of the reasons Sainsbury’s is supporting local groups across the UK to help reduce the nation’s food waste at a grassroots, community level. Now, for the first time working with ‘Recycle for Norfolk’, Sainsbury’s is supporting the creation of seven new Discovery Communities in Norfolk. Not in a Discovery Community? You can still fight food waste! If you don’t live in one of our Discovery Communities, sign up below to register your interest and receive our newsletter about local events, activities you can do at home and practical tips about how you can Plan Eat Save in your household.